Traffic is important in any online undertaking. An online company’s success relies on the volume of targeted traffic it can generate for its pages, so SEO and PPC are the best strategies to implement for generating traffic. PPC stands for pay per click. SEO stands for search engine optimization. Although their goal is similar, they are different concepts that need different methodologies and strategies. SEO is centered on getting your site to rank higher in organic results for target keywords on the essential search engines: Bing, Google, and Yahoo. When you want consistent results. Allan Rodgers, a Digital Marketing Consultant at A+ Digital, insists that reaching the top of the search engine result pages is going to take time. But as soon as your site reaches there via SEO, you will enjoy continual traffic. Additionally, if you maintain your SEO campaign, putting more effort to maintain and enhance results, it is possible to remain on top for a long period and enjoy lasting benefits. When you want to create an authority website. The best method to build an authority site is through traffic generation to your pages, ultimately developing authority until it gets to be popular enough to take control of its market. The only approach to sustainably generate the traffic needed is by way of smart content driven by good SEO planning. If you would like to increase your website’s value. Sites are virtual real estates. Link popularity, page rank of your business, generated traffic and it’s consistency, are some of the factors that help to increase your site’s value; all these fall in the world of SEO. PPC, on the contrary, is centered on paying for advertising space for targeted keywords on SERPs. When you want instant results. Pay Per Click generates results quickly. It is possible to count the minutes before a rush of site visitors come pouring to your pages. The reason is that the moment your Pay Per Click campaign is validated, your adverts will instantly be displayed for the masses to see. Why targeted traffic is important to your site. Marketing through PPC will help you target potential customers depending on the location. The majority of Pay Per Click platforms, such as social media websites, let you promote to the education level, gender, marital status, age range, and even income bracket of those who will be able to view your advert. When you want to promote an offer that is time-sensitive. Marketing events, products or services with a date of expiry is always a race against time. Usually, the SEO campaigns that take long to implement would generate delayed results. Pay per click can deliver the traffic you require within minutes. If you want your keyword category to dominate search results. By being absent from Pay per click, your competitors will benefit from those clicks. If you are intent on making the most of your click-share of available searches for keywords highly important to your business, you have to engage in Pay per click. 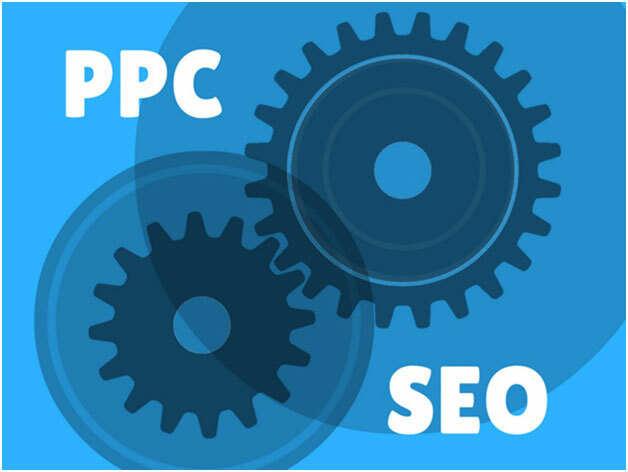 PPC is one of the quickest strategies to boost your business by using traffic these days. Pay per click is the fastest approach to get things in motion; however, it will also give you significant data and information for your SEO efforts. Long-term SEO will bring you the best forms of traffic along with the most qualified prospects.Also, your SEO efforts (improving page content, optimizing code, etc.) will help your PPC results also. A search engine like Google likes to reward “good Pay per click buyers” with good quality Scores in Google Adwords and cheaper Cost Per Click (CPC).